Wellness has almost become a national obsession with folks looking for that one solution, the one element in their lives that will ensure health and happiness. That is no small feat, there is so much information out there that one can easily get lost, overwhelmed and not know what to believe or which thing to try. Our recommendations are two-fold. We naturally say that but with good reason. Your environment is huge when looking at your health. Someone living in Alaska, Maine or New Jersey can’t always tell you the best way to live in the desert. It also is healthy for our economy to support local health and wellness practitioners who can give you one on one attention and know the special demands of desert life. Next to is remember that you are body, spirit and mind – you are a connected machine. One can’t expect to fix one flat tire on a car and still expect it to run with a bad battery. 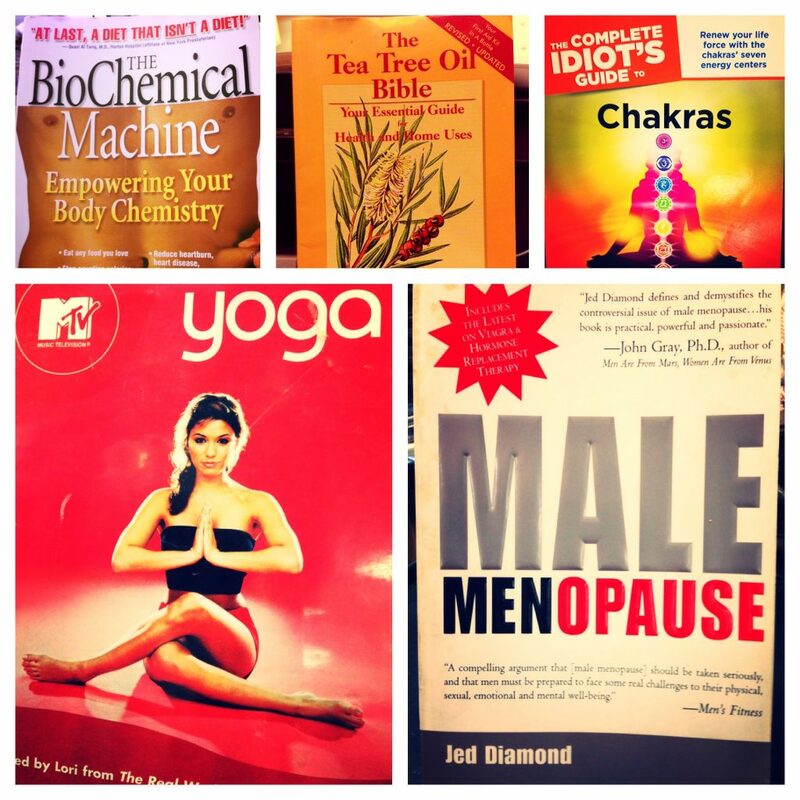 Bookmans has many, many resources to get you started on your wellness routine, even though we are well into February. So what if you had other things to read prior to wellness books, at least you’re here now. We suggest picking up a book for a little bit of everything, as step one. Reading up on your energy chakras, like the Complete Idiot’s Guide to Chakras will help you hash out where and potentially why you feel stuck, hate working out, or just give you a great overview of pretty circles on your body. This is your journey, you do you. Our manly suggestion? Male MenOPAUSE to help sort out the weirdness that can be hormone regulation in the male body. Lightbulb, maybe? The Tea Tree Oil Bible, and the Biochemical Machine are both great options if you want to start from the very base of how our bodies function before diving into books that actually encourage you to work out. This is all on your own time.